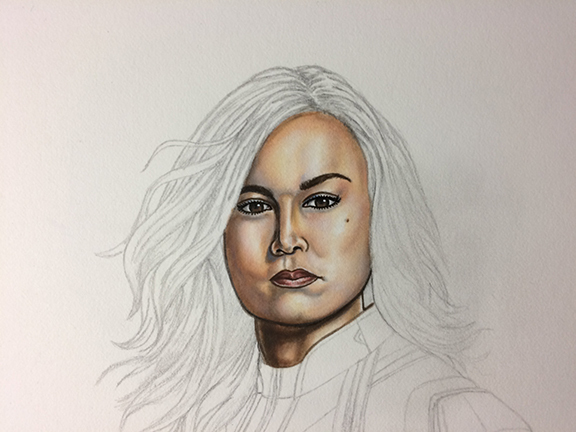 Captain Marvel donation art painting process is underway for the PADRE Foundation Show silent auction happening Saturday, May 11 2019. 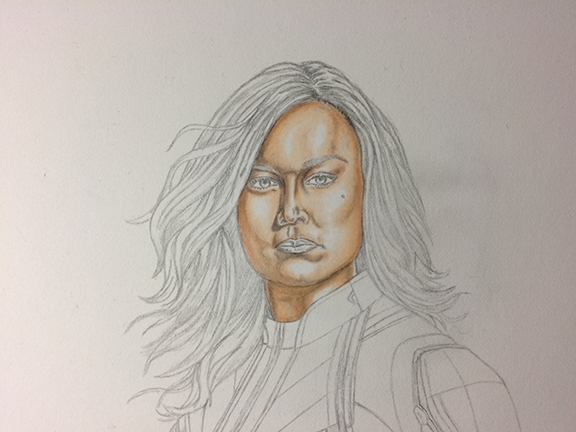 This progress stage was rendered with copic markers and liquitex paint. PADRE Foundation (Pediatric-Adolescent Diabetes Research and Education) plays a critical role in the education and support of children with diabetes and their families.